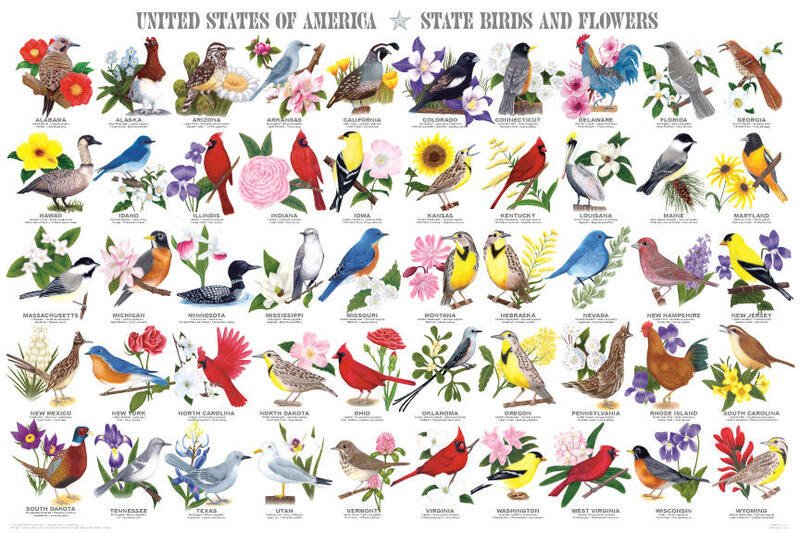 This magnificent poster shows the State birds and flowers from all 50 states. They are presented alphabet-_ically. Each images is accompanied by the both the common and the biological name of both species.